Half blooming, half died off, this separated shrub attracted my interest while I wandered at the shoreline of the Ringkøbing Fjord on a windy and cool evening in June. Basically I was looking for themes showcasing "wind" this day. 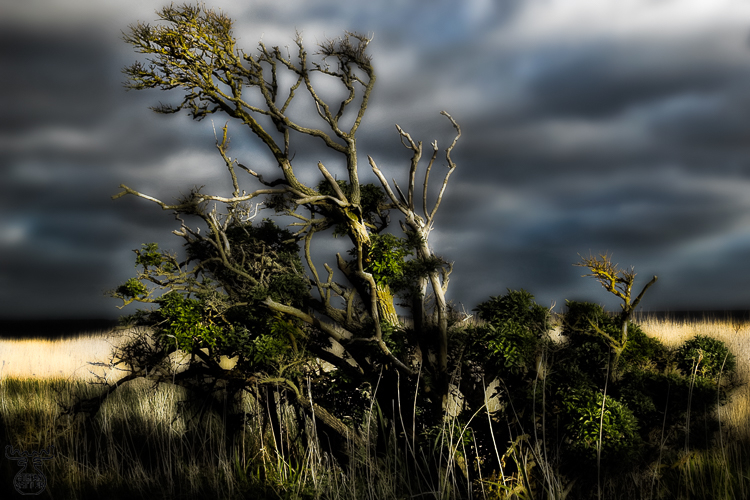 The sky and the warped shrub were selectively altered in contrast and color saturation, exceggerating the dramatic mood reflecting the "calm before the storm".